My family think I am fairly neurotic when it comes to cleaning. I will admit it, I like a clean house. No dust, no dog hair, no dirty dishes. 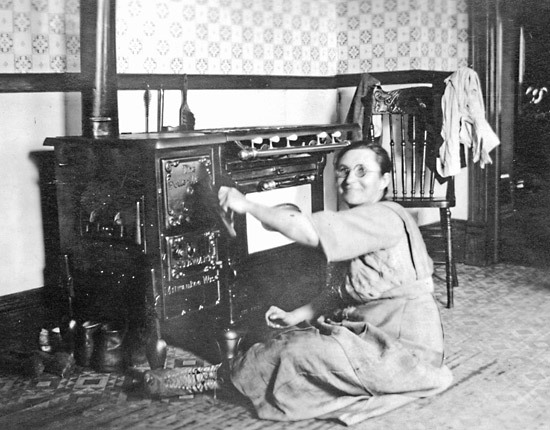 I have hired people to clean my house in the past, but they have never done it as well as I can. Alright, I am somewhat neurotic about cleaning. In recognition of my passion for cleaning, this week’s “three for the week” are three American firms that make products that make cleaning your house a breeze. As far as house cleaning goes, your vacuum cleaner is one of your big guns. 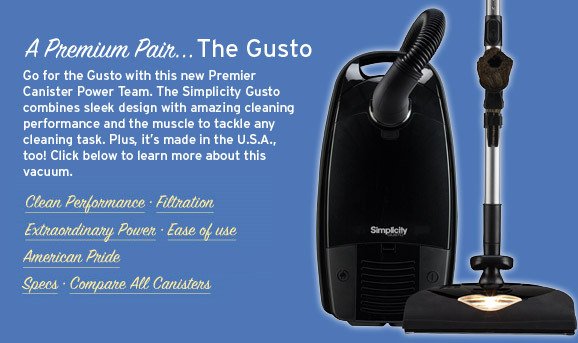 I have not yet tried this brand, but have heard good things about Simplicity Vacuums. Their factory in St. James Missouri employs 120 people making both upright and canister vacuums. while the 7 series is a powerful, stylish upright model. while the Upright Magnesium is very cool. The Magnesium has a 7-year limited warranty with three annual tune-ups by Oreck thrown into the bargain. The Magnesium frame is actually made out of Magnesium and only weighs about 8 pounds. 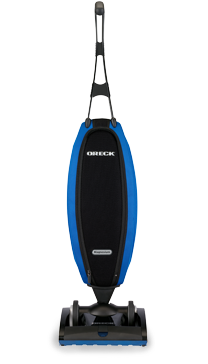 The Magnesium has two speeds, twin LED headlights, a thirty foot long cord and a HEPA inner bag. Quite a vacuum. 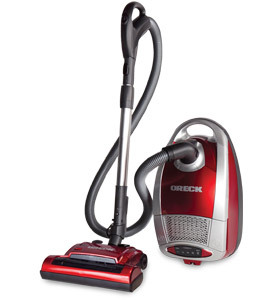 Once you have decided on either a Simplicity or a Oreck vacuum cleaner, your need to do any further hunting for American made cleaning tools is at an end because virtually any other cleaning tool you need for the home can be supplied by one American company: Libman. Libman, which manufactures its products in Arcola, Illinois, has an incredibly wide range of products. 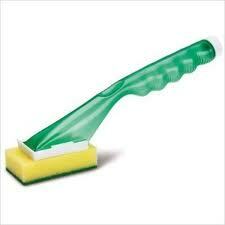 For the kitchen, Libman produces a wide range of brushes, scrubbers and sponges. Need to wash some glasses? 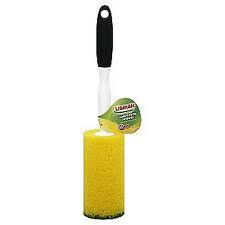 The Libman glass/dish sponge is the answer. Spoogy dishes are no match for the Libman Dish Scrub and soap dispenser. makes a real mess of the kitchen floor when he devours his morning repast. No problem. 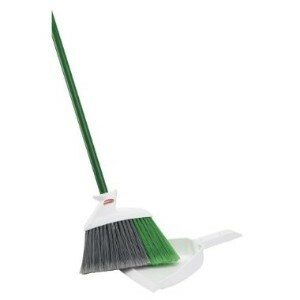 Grab your Libman broom and dust pan and dirt doesn’t stand a chance. When it is time to mop, Libman only makes about fifteen models. 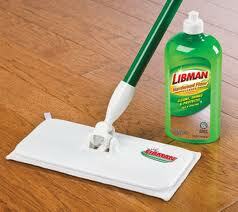 People who like the Swifter mop will probably like the Libman microfiber floor mop. You don’t have to buy the little wet cleaning pads. Just wet the cloth pad, go to town on the floor, and then throw the pad in the washer. Better for you and the capacity of your local landfill. With your cleaning tools made by members of your extended American family, you no longer have any excuse not to keep your home ship-shape. 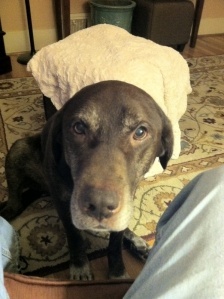 Except for that rerun of Downton Abbey that is on in ten minutes. Damm. This entry was posted in american made, Made in America, made in usa and tagged David Oreck, Home Cleaning, Libman, Made in America, made in usa, Oreck, Simplicity Vacuums. Bookmark the permalink. 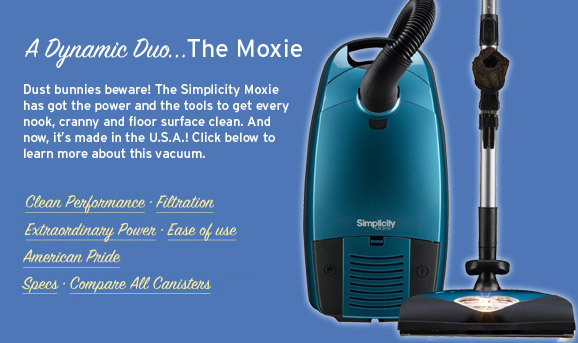 2 Responses to Dust Bunnies be gone! Like this series.I looked at the Simplicity website. Why are they not showcasing their Made in the USA status? They should have that more obvious.I think it would make potential customers more interested in reading about their products. If you could figure out if anyone actually makes gluesticks in America I would appreciate it. (The kind kids use in school not the kind for glue guns.) The brands that might be expected to ,apparently do not produce here.Mexico is as close as I have found.With all the recalls from China ,this is not a product I want from China,so it disappoints me that big brands like Elmer’s produce there.BTW I love the pencils I ordered from The general Pencil company in NY.Fortunately I still have my old Boston Schoolroom type sharpener and they sharpen so nicely. No more “lead” falling out of the pencil and erasers that work! doing a post on the General Pencil Co. from N.Y based on your recommendation. All the best, John.